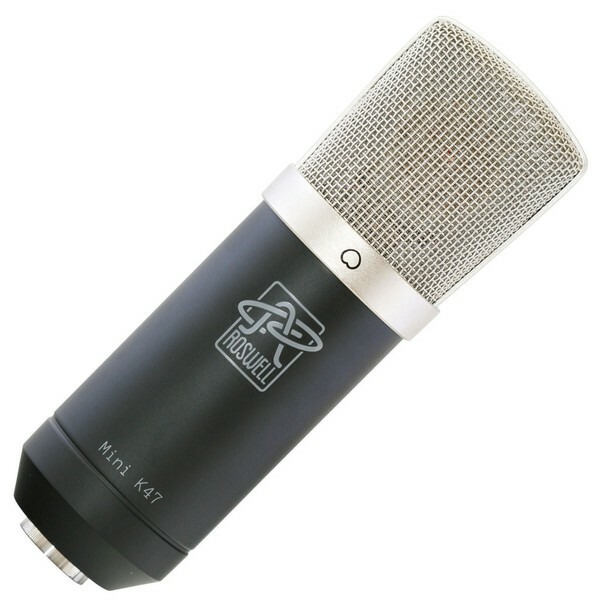 The Mini K47 captures the tone of a vintage microphone, with modern performance specifications. "K47" refers to the capsule design. The capsule in this microphone is modeled after the one in the most famous microphone of all time. It provides a full, balanced tone without any harshness or hype in the upper frequencies. It will record less sibilance and fewer mouth sounds on your next vocal track. It will add weight and body to high strings and electric guitars. It will reduce the jangle in strummed acoustic tracks. For this microphone, we chose a very clean and transparent circuit design. It lets the sound of the capsule pass through without alteration. Self-noise and distortion performance are on par with microphones costing significantly more. The circuit incorporates the best tricks we’ve learned from modifying and upgrading other companies’ products. To ensure that every Mini K47 microphone delivers superior performance out of the box, we test them extensively prior to shipping: for polarity, noise, frequency response, and sensitivity. We listen to every microphone before it leaves our facility. The Mini K47 ships with a swivel mount and padded storage pouch. As of May 1, 2016, the Mini K47 also includes an elastic shockmount as a free upgrade. Recording drum overheads or other stereo applications? We match these to 0.5dB in sensitivity (measured at 1kHz), and about 1.5dB in frequency response, 50Hz - 15kHz. An acoustic sweep of both microphones, measured one after the other in our own lab, is included with the pair. 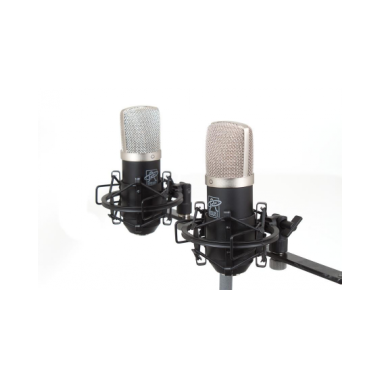 Each pair includes 2 swivel mounts and 2 elastic shockmounts, plus a vinyl storage pouch for each microphone. 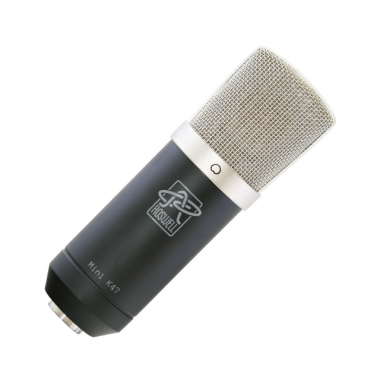 Roswell Pro Audio is a boutique microphone company. 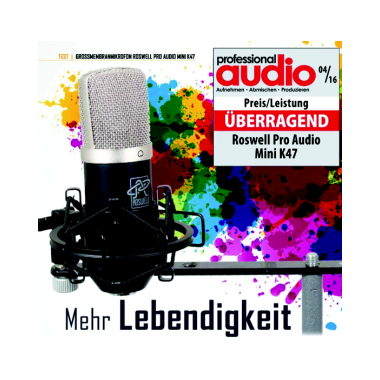 Our microphones provide a distinctive sound, and a level of performance normally associated with far more expensive devices. The company headquarters is located in the wine country of Northern California. Our shop is surrounded by native redwoods; the rural setting is quiet and idyllic, although occasionally punctuated by the sounds of a 20-20kHz sweep tone from our acoustic test lab. We are solar-powered, and aggressively recycle to reduce material waste. 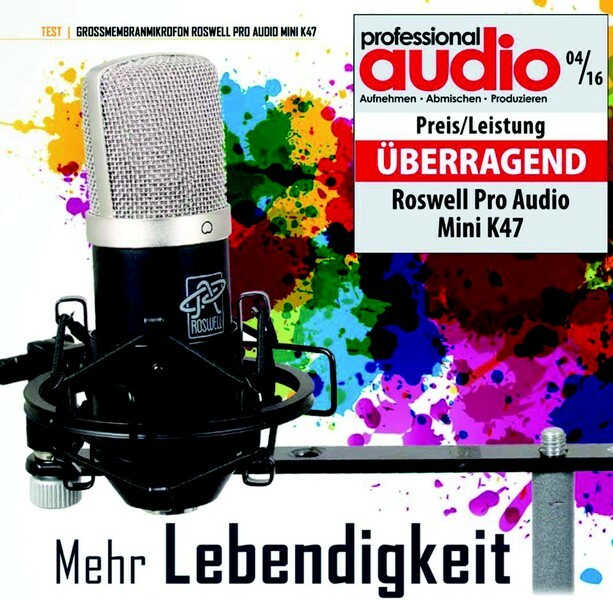 Roswell Pro Audio was founded by Matthew McGlynn, whose first entry into the pro audio gear industry was a website called RecordingHacks.com. 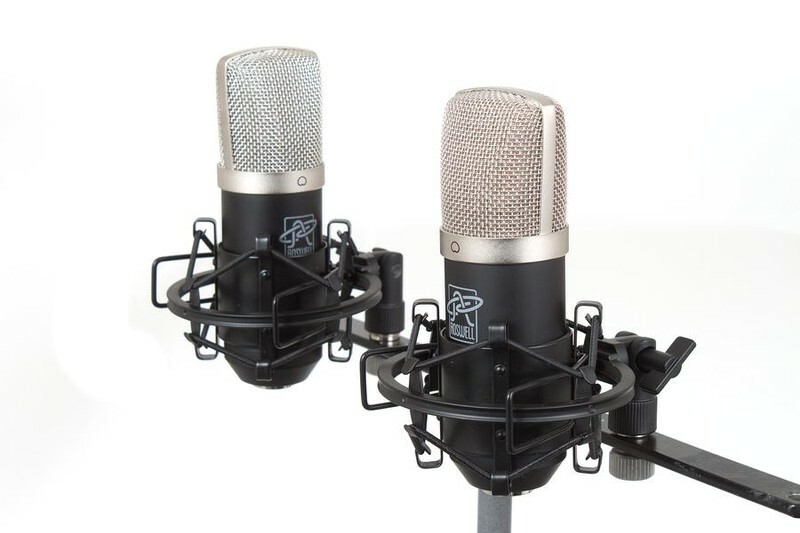 The RecordingHacks website provides detailed analysis and descriptions of thousands of microphones, as well as some of the most ambitious mic shootouts ever produced. McGlynn's deep experience with hundreds of microphones over many years — learning how they're built, and why they sound the way they do — led to the formation of Microphone-Parts.com, a DIY electronics company that sells premium studio microphones in "do it yourself" kit form. 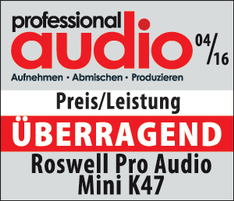 Roswell Pro Audio borrows from the research and development work done by MicParts, but takes its products in a different direction. Roswell's designs distill the various capsule and circuit combinations into best-in-class offerings that have won acclaim from musicians, home studio owners, and Grammy award-winning producers and engineers.